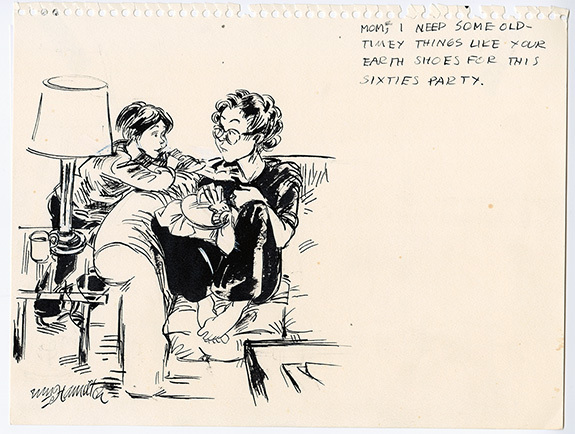 Mom, I need some old-timey things like your earth shoes for this sixties party. Pen and Ink on drawing paper. Signed, lower left by artist. Do not know if this was published in The New Yorker.